Welcome to the first episode of the Hashtags+Stilettos Podcast! This podcast will be an extension of this site in the sense that I’ll be providing business, lifestyle and PR insights, but it’ll also give me a chance to offer more in-depth answers to your questions and shine a spotlight, through interviews, on the people who are doing amazing things in PR and in the broader business arena. 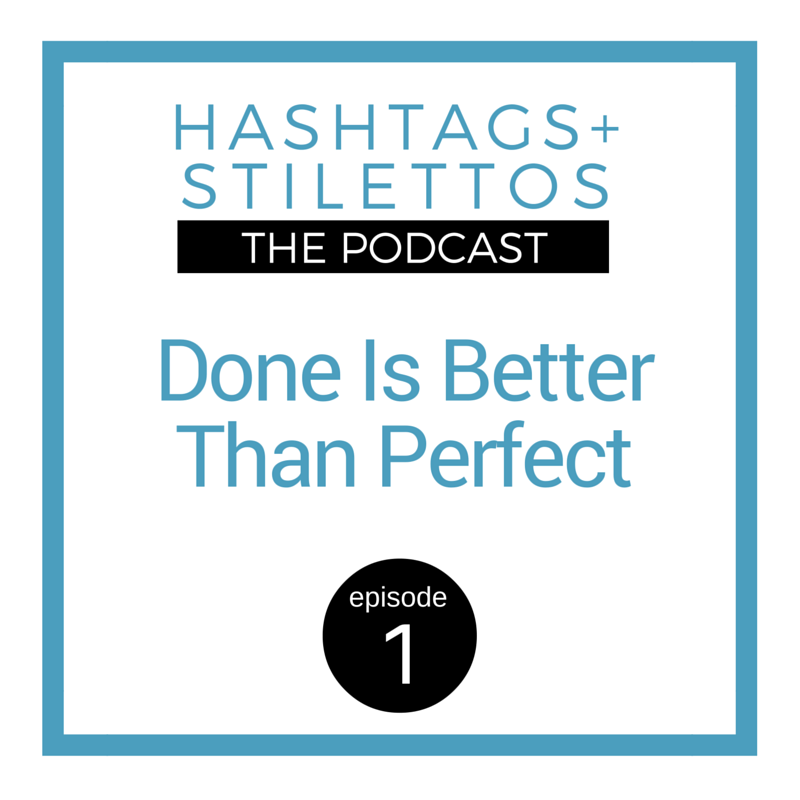 The first episode, Done is Better Than Perfect (listen below), is all about how to get more done without the self-inflicted pressures of perfectionism. As a recovering perfectionist, I am an expert on the mental traps we set for ourselves that keep our greatest work, talents and projects hidden from the world and from those who could benefit from them the most. In this episode, I provide two really simple, actionable tips for how to get out of your own way and onto the path of completion. Learn why ‘Done is Better Than Perfect’ is more than just a quote and how it can help you become more productive. Learn how establishing a ‘Power Hour’ can help you accomplish more, especially when you already have a ton on your plate.